For a year, Nils Mathis Persen Bals (65) from Alta lived with chronic headaches. Day and night his head ached and no doctors or medications could be of help. Finally during a meeting service with Svein-Magne Pedersen in the town of Øksfjord in 2003, the pain disappeared instantly. 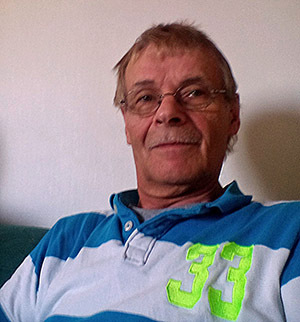 In 2001 Nils Mathis Persen Bals (65) from Alta started having pain in the neck and head. The pain came and went the first year, but eventually it developed into a chronic ailment. -I don’t know what caused the pain, because I had not hurt myself, or had a stressful everyday life that could cause such pain. It was hard to be bothered with headaches. Eventually I was in pain all the time. I had pain when I got up and pain when I went to sleep. Nils Mathis regularily worked as a carpenter. It was therefore a rough day going to work with headaches. Eventually it became so bad that he constantly had to get sickleave. It was also strenous to be active at home. He did not want to participate in many different activities and events because of the pain. -Naturally, I was afraid of what it could be, for example a blood clot or cancer. Nils Mathis was at the doctor several times. He took several examinations, including MRI of the head, but no doctor figured out what was wrong. -I got painkillers from the doctor, but I was allergic to them. One night, I woke up from blood running from my nose. The entire pillow was red. The ambulance came and picked me up. The doctor thought it was the medicines that had caused this. Instead, I used other painkillers, but they did not help much. On May 11, 2003, Svein-Magne Pedersen had a healing meeting at the community center in Øksfjord. Many had showed up and Nils Mathis did not receive prayer until four thirty in the morning. -When Pedersen laid his hand on me, I felt a vibration in my head and I got a little cold. -It is God’s power working," Pedersen said. When Nils Mathis went home, he was the one driving the car. After a while he soon discovered that the pain was gone. -Now I don’t have anymore headaches! he exclaimed with great pleasure to the others in the car. In the years after, he has been headache-free and rejoices over it. -What happened was wonderful, and I'm grateful to God for what He did through Svein-Magne Pedersen. I have recommended many to contact him.